The Association of International Risk Intelligence Professionals (AIRIP) is pleased to welcome Alan Orlob, Charles Randolph and Dawn Scalici to AIRIP’s board. They join our current board members, Paul Florence, Jessica Hern, Linda Millis and Meredith Wilson. As a group, the board oversees AIRIP’s finances, sets strategic direction, consults on new and on-going initiatives, sets organization governance plans, and act as ambassadors for the organization. Serving on a non-profit board is a time commitment, and we are thankful for their support as we move into AIRIP’s second year. These board members, elected by the current AIRIP board, will serve AIRIP at a time of growth and change for the organization. They will attend their first board meeting in August, and we use that time to begin planning the next stages of growth for the organization, as well as check-in on some current initiatives. They will get the opportunity to see these initiatives into fruition as they serve a three-year term. We are excited for the possibilities that leadership growth can bring to AIRIP, including membership growth, increased visibility, online community engagement, event attendance, and more. Full board member bios are available on our new AIRIP Leadership page! Intelligence analysts in the private sector often function as a team of one. Information sharing groups have been a tremendous force multiplier for single analysts and small teams in the industry. So while teams of one intelligence analyst are less and less common, the need for information sharing and benchmarking remains. Governments have teams across agencies focusing on issues and sub-sets of issues, or whole countries down to very specific geographic areas. But an analyst in a private sector organization could be expected to produce analysis on macroeconomic impact of the Brexit one day, security conditions affecting facilities in a high threat security environment the next, and the reputation impact of a cyber breach the third. Arian Avila, Director of Intelligence and Analysis for Bank of America’s Global Security team, and Corey Vitello, Senior Director of Global Safety and Security at Visa, explore Information Sharing in AIRIP’s first white paper. Did you know there are example charters, and multiple group protocols to choose from? What internal stakeholders should sign off on participation? Will you need to clear each information sharing exchange, or does clearance for participation in a group mean that any information can be shared over a period of time? What will happen to information you share with other organizations? Will they protect your information? What does the information sharing process look like? How do you know what you can share outside your organization? How do you, or can you, share with competitors? Ms. Avila and Mr. Vitello outline these and other potential concerns for you to consider as you look at joining an information sharing group. AIRIP’s member portal has great information sharing capabilities, with discussion forums and common interest groups, as well as a knowledge library. There are also many informal information sharing groups within the private sector intelligence space. As a current and alumni member of these organizations, I can vouch for their trust and authenticity, as well as the value they have provided to my intelligence practice. I encourage you to read our white paper, and then consider using AIRIP as your information sharing platform, joining one of the other information sharing networks already in place, or starting your own. This White Paper is available to AIRIP Members via our member portal. To view the white paper, we invite you to Join AIRIP! AIRIP launched a mentor program for our members in May 2016 and we are actively seeking mentors and mentees for great mentoring relationships. Learn more about the program, and apply. The following post is from Kristin Lendardson with some thoughts and tips on seeking out mentors and making the most of a mentoring relationship. Kristin Lenardson is a Senior Intelligence Analyst with AS Solutions for Nike. She has 15 years of experience in the intelligence field, spanning government and private sector positions. In 2013, she was chosen as a participant in the Intelligence Community/Department of Homeland Security’s Public – Private Sector partnership program to work on a one year project to produce an open source product on Identity Theft. She is an AIRIP member, and has been a primary creator and organizer of AIRIP’s mentor program. She is also a co-founder of The International Protective Security Board, an organization focused on training and career development in the protective security field. Irish writer Oliver Goldsmith once said, "... people seldom improve when they have no other model but themselves to copy." Having the right mentor can help you see yourself, steer you towards goals (often in spite of yourself), and provide another 'model to copy' for success. They are more than a colleague or a friend - they are a professional confidant who believes in you and gives time to help guide and refine your career and professional life. Finding the right mentor, however, can be tricky; some mentors can be longer term, and yet others can advise on specific issues. In a perfect world, a long-term mentor is someone in a position or career you aspire to achieve. In the shorter term, this could also be someone with more experience to guide you through a specific professional issue or help with a career transition. I had the pleasure of having a very strong mentor who provided me with knowledge and support when I transitioned from the government into the private sector. I learned a lot through my experience, both positive and negative. After ten years in the government, I left the FBI and moved to the corporate world into the position of Intelligence Analyst with a Fortune 500 company. The transition was slightly more difficult than I originally anticipated. It was a small team with few resources, and I had to build the Intelligence program from the ground up. My first supervisor was a good person, but at times, our professional relationship was uncomfortable for various reasons. A few months into the position, my supervisor suggested I get a mentor within the company’s official mentor program and, subsequently, chose a mentor for me. It turned out the mentor was the VP of Human Resources. She had been with the company for 20+ years and had worked her way up from an administrative position to an executive. My mentor knew everyone in the company and was very knowledgeable about the business. She taught me the intricacies of the business, which helped me become more comfortable with my transition. She recommended several internal classes offered by the company in business acumen and human resources related issues. While I would not have ordinarily taken these courses, I was glad I did at her suggestion. I was able to learn about what drove the business and what was important to the C-suite. I learned a lot from my mentor and the classes she recommended. However, due to the close relationship between my mentor and my supervisor I never felt comfortable having candid discussions with her. They often had lunch and had social interactions outside of work. Because of this, I did not feel I could not discuss all my professional issues, and this perhaps held me back from properly using our relationship to the fullest. Although your mentor should not be your professional counselor, they can be a great sounding board regarding corporate politics. 1. You should choose your mentor. Since I did not choose my mentor, at times it was uncomfortable. As a result, our mentorship suffered. If you get into a mentorship situation, and you do not trust your mentor or mentee, end the relationship quickly and professionally. 2. Your mentor does not have to be in a similar profession or level. My mentor was in HR, not security or intelligence. She was also several professional levels up from my position; I was a manager, and she was a VP. I learned quite a bit about the company which ultimately increased my professionalism and business acumen. 3. Think about what type of mentor relationship you would like to have. At the time, I did not actively plan what I wanted to get out of the relationship. In the future experiences, I have put more time and thought into my career goals and either look for a mentor who followed a similarly successful career path, or sought someone with a skill set I want to learn. 4. Understand your mentor relationship and when there is a natural end. Some mentoring relationships go for years and end up as lifelong colleagues or friends. While friendships are an excellent thing, you should go into a mentoring program (especially an official one) with an understanding of the lifecycle and when the ‘professional’ relationship should be closing. Ultimately, your mentor relationship should be with someone you respect and trust. With a bit of foresight and planning, you can have a very successful experience in which both people feel their time is beneficial to personal and professional growth. The Association of International Risk Intelligence Professionals (AIRIP) invites you to tour its improved Website! We are excited to announce that we have redesigned and enhanced the usability of the AIRIP website for our members. Our new website offers new functionality, including your own member portal. Once you log in, you may review your profile. You can control the privacy for all your data with AIRIP. We set a default, so log into your profile and select what is private or shared with members-only in the AIRIP Member Directory. Simply click on the "lock” icon to the left of each data field and select the proper level of privacy. There are a number of new features that will allow you to network with your fellow members. The new website offers more social networking features to foster collaboration within our community. Key features include a new, more customizable member profile, the ability to set up your own personal blog, online chat/instant messaging, favorites, group pages, file libraries and more. We have created a Website How To page with helpful information for your reference to get you started. We look forward to your feedback and engagement in our new website. If you have any questions or comments, please email rachel@airip.org or call the AIRIP office at 612-405-6566. Thank you for your continued support in AIRIP! AIRIP is proud to share our first two organization sponsors! 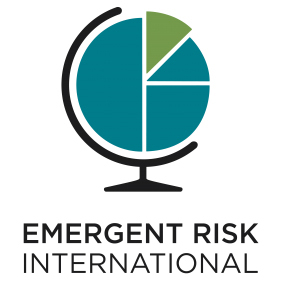 A big THANK YOU to Emergent Risk International and Microsoft Global Security! Through their financial support we are able to do great things – like hold an inaugural event, and dream big with regards to member benefits. Are you interested in becoming a corporate or vendor sponsor? We operate on an annual sponsorship plan. Sponsors from vendors or member organizations are rewarded with marketing, access to our members, and free tickets to in-person and online events. Some sponsor benefits are listed below. A full list of sponsor benefits based on support level is available via e-mail. Use the contact form on our web site to reach out to inquire for more information or to sign on as a member! We would love to talk to you soon about AIRIP sponsorship! Ethics in intelligence is not usually a thought that gets a lot of serious attention, and intelligence tends to have a bad reputation on this topic. Events even in the news during the past few weeks show that governments and other organizations will go to extreme measures to gather intelligence if the conditions allow, and if the value of the intelligence is perceived great enough. That said, often organizations, including governments, can gather extremely valuable information via ethical, responsible and open means. Growth in the Open Source intelligence collection capabilities and staff within the United States Intelligence Community, and numerous intelligence successes attributed to open source collection, show that the covert and clandestine methods of spy lore are no longer the only way to gather valuable info. In addition, the scrutiny that the public places on organizations – governments, non-profits, and for-profit entities alike – can be a deterrent to some types of collection that may have been considered status quo in the past. Companies that employ intelligence analysts (and our ranks are growing) should be concerned with the sources and methods used by their analysts. A bad choice by an analyst or intelligence manager can have serious negative consequences on an organization’s reputation, stock price, and safety of personnel. AIRIP was founded on the principle that there can be ethics in intelligence collection, and that there should be a standard for organizations to use as they develop and mature intelligence programs. Without a professional standard, analysts could be asked to do unethical things in the name of collection, and the actions of intelligence professionals could seriously harm the reputation of the organizations where they work. Analysts need a professional standard to point to when unscrupulous colleagues ask for information to be collected in ways that could harmful to themselves, their colleagues or their organization. Analysts also need a guide on how to protect themselves when collecting information in the open source world. For these reasons, AIRIP is proud to introduce the Risk Intelligence Code of Conduct. This was presented to members on October 28, 2015 via webinar with two experts in the field speaking in support of the code of conduct. The webinar was attended by over half of AIRIP’s current membership, and polls at the beginning and end of the webinar showed overwhelming support for the Code of Conduct as written. We hope that members and non-members will use this Code of Conduct to discuss and enact ethical intelligence collection within their organizations, and form a basis for their own Codes of Conduct. This post is a guest post by AIRIP Board Member Meredith Wilson. Meredith is Founder and Principal at Emergent Risk International. The post can also be found on her website. We have more data at our fingertips than at any time in human history. However, this does not mean we always use it properly. More than ever we can become a victim of our own bias and that of the people reporting and publishing information. That’s not just special interests groups or politically slanted publications we are talking about. There are so many angles and reasons (not all of them nefarious) for people, organizations, governments, and businesses to publish information which is slanted in one direction or another that the ability to apply true investigative research, analysis, and critical thinking skills is imperative if we are to utilize all this data to make effective decisions. Intelligence professionals are trained to ask more questions. Starting with the question that is being asked in the first place. For example, when a business leader comes to them and asks: “How will ISIS impact the security of our operations in the Middle East?” Is that even the right question to start with? Perhaps the question is actually: “Will ISIS impact our operations in the Middle East (or perhaps we should narrow this to a more specific geographical area!)? If so, how?” After all, ISIS is but one of myriad players in the Middle East and the impact of their presence on the region goes well beyond security. Or perhaps in this case, the company isn’t impacted at all by ISIS but is strongly impacted by organized criminals working in other parts of the region. There are infinite other ways to ask the question (which could be the subject of its own blog post), but the point is, a good intelligence professional will first work to find the best question to yield higher quality information and analysis for better decision-making. Intelligence professionals also ask questions of their sources: “Is this the whole story?” “What is their source of information?” “Could their source have a particular reason/angle for reporting this information in this manner?” “Is there an important key piece of information/ context missing from this story?” (And there always is.) These types of questions and others must be asked before forming an analytical judgment. Additionally, it’s imperative to seek out sources with opposing points of view. Intelligence professionals are trained to look for secondary and tertiary sources to verify information and seek out expertise and human sources on the ground that can provide additional context. Additionally, while being aware of reporting on major media outlets, intelligence leaders understand that these reports alone do not provide the context needed to provide an accurate judgment. More questions must be asked – and they need to be asked of sources with more context than your average AP stringer or cable news commentator. A good intelligence analyst understands that their judgment is not infallible no matter how well they know the subject matter. They know that it is not uncommon for a young analyst – new to the field – to make a more accurate judgment than one who has spent years on the subject. This is because deep experience comes with its own biases. Intelligence professionals drive good decision making by providing analytical judgments that have been “stress tested.” That is, they’ve allowed other people to poke holes in their arguments, ask questions, and play devil’s advocate. When faced with a weak bottom-line judgment, intelligence professionals consider opposing views and adjust their analysis accordingly. To not do so puts their customer – the decision maker – at risk of poor decision-making based on faulty or incomplete information. The information age and the speed of information has led us to believe we know more than we do. It has led us to believe we understand root causes of problems in other countries, and that we have a handle on how these cultures operate. The truth is, most of us don’t and we can’t unless we have walked the ground, smelled the smells, and experienced life in these places. This does not mean we cannot provide good analysis, but it does mean we need to work extra hard to seek out proper sources and context before providing our insights. Local media sources, primary language sources, multiple individuals on the ground, historical information, motives and methods of political actors, and information on cultural and social norms are just some of the inputs we require. We cannot overlay our own assumptions – about the world, about religion, about politics, about survival – on other cultures and come away with a solid analytical judgment. When we do this, what we come away with is flawed analysis that will encourage flawed decision-making. Recent history has provided a few examples of policy makers who’ve pressured intelligence officials to provide intelligence analysis that conformed to their political or policy goals. While there is more to these stories than meets the eye – from sourcing failures to policy failures – this is an easy trap to fall into. In many organizations (business especially) decision makers have authority over the presence of an intelligence function within their organization. Thus, a professional intelligence function requires analysts with strong confidence in their capabilities and the ability to guard their analysis against the wrong kind of influence. Just as importantly, it requires ethical decision-makers who understand the power and proper use of a professional intelligence function. Meredith Wilson is the Founder of Emergent Risk International, a Dallas based risk intelligence and advisory firm specializing in strategy consulting, bespoke analysis, and training to address geopolitical opportunity and risk for multi-national companies and multi-lateral organizations. She is also an AIRIP Board Member. Thank you for the overwhelming response to the AIRIP launch! We have had such a great time this week chatting with you by phone and e-mail about the many possibilities and promise for this organization. Many of you have signed up as members, and others have committed you and your teams to joining. It’s such a confirmation of the need for this organization and this work, and we are excited to get it started with you! The great response to the organization means that we can move forward right away on finalizing the scope for the next phase of our website, which will include a members-only portal. Many of you have asked for things like a member directory, a discussion forum, and a library of program documents. It’s coming! We are excited to be able to move forward on these things. We are also excited to meet each and every one of you – members and prospective members alike – at our Inaugural Event on November 17 in Washington D.C. Don’t forget to register and get your tickets soon! There will be breakfast, networking, and a great line-up of speakers. Tickets are free for those who become members by September 30, 2015. Thank you again for the great welcome! We are so excited to take this step in formalizing the work of the risk intelligence profession. Hello! I’m so excited to share the beginnings of a brand new professional association with you. This has been a dream of mine for over five years, and an unexpected job circumstance left me with some time on my hands this spring to finally take this on. After a lot of research, conversations and thought, I’m really proud to introduce you to the Association of International Risk Intelligence Professionals (AIRIP). After working in the U.S. federal government intelligence community, and then in the private sector in corporate security departments for two major global corporations, it was clear that there wasn’t a lot of support for intelligence analysts. It’s a lonely field sometimes – just an analyst and his or her sources – and without a strong personal network, the job can be overwhelming and potentially ineffective. My peers in other corporate security, reputation management, and corporate strategy functions had all sorts of training, certifications, associations and association chapters for their respective fields. I knew there was tremendous work being done within the intelligence community and the private sector. However, due to the sensitive nature of the intelligence profession, the great work they were doing often went unacknowledged. I was aware that some of these risk intelligence professionals had created informal communities to support one another’s work, but the professional development, training, and career path were informal and murky. The AIRIP Board and I think the time is right for a professional association to elevate Risk Intelligence as a formal career path for the professionals already in the field and the students that aspire to this field of work. to provide a forum for publication and discourse by thought leaders in the field. Over the next few weeks and months, we hope to more formally launch AIRIP with an e-mail and web marketing campaign, outline plans for a fall conference in Washington D.C., publish our ethics standard for the risk intelligence community, introduce you to our leadership team, and start a published dialogue on this blog from experts in intelligence supporting various areas of organizational risk. You’ll also hear more in-depth about our goals outlined above, and hear first about our progress. We also, above all, aim to create awareness of the ability of risk intelligence analysts to facilitate and drive Intelligence leddecisions in business and organizational operations and policy. As time goes on, more and more of our content and benefits will be available only to members. All this is done with the aim to professionalize careers in risk intelligence and elevate the work that you do in a way that will allow you to move forward and grow in your careers. Please consider joining and/or donating to AIRIP! As an early member, you’ll be in on the ground floor. Your membership fee in 2015 will go toward initial growth and building our infrastructure. Membership benefits will roll out throughout 2015 and 2016. I am really looking forward to leading this organization along with our board! Please do not hesitate to reach out via our contact form with ideas and feedback.